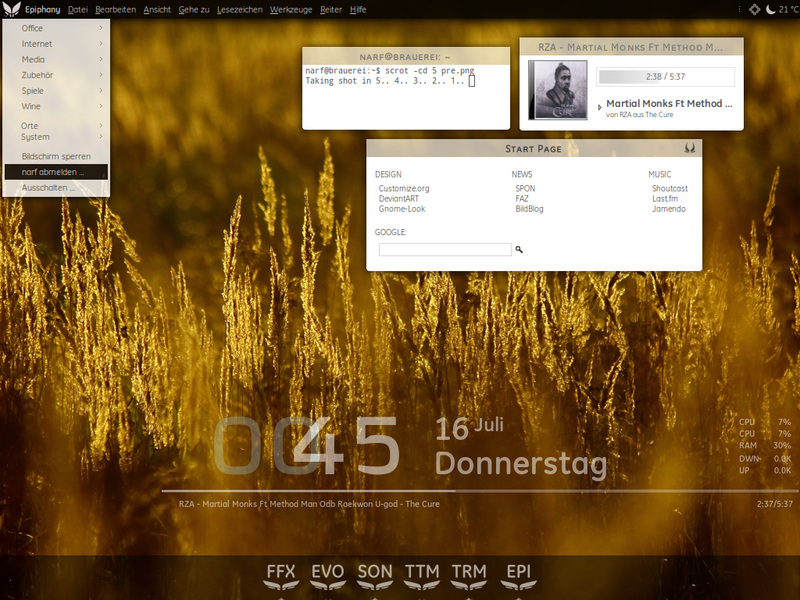 Reader arzali's Ubuntu Linux desktop moves the taskbar to the top of the screen, with Windows 7 style buttons and a large Conky bar for system stats at the bottom of the screen. Reader naaamo2004's Linux desktop shows off the beauty and power of a painstakingly tweaked desktop—and he even included a video demonstration of how it all works. Reader naaamo2004's Ubuntu desktop proves that Linux can be slick, stylish, and functional all at the same time. Reader Sean's desktop proves that Linux can be bright, colourful and geeky all at the same time—there's no reason to be stuck with brown.